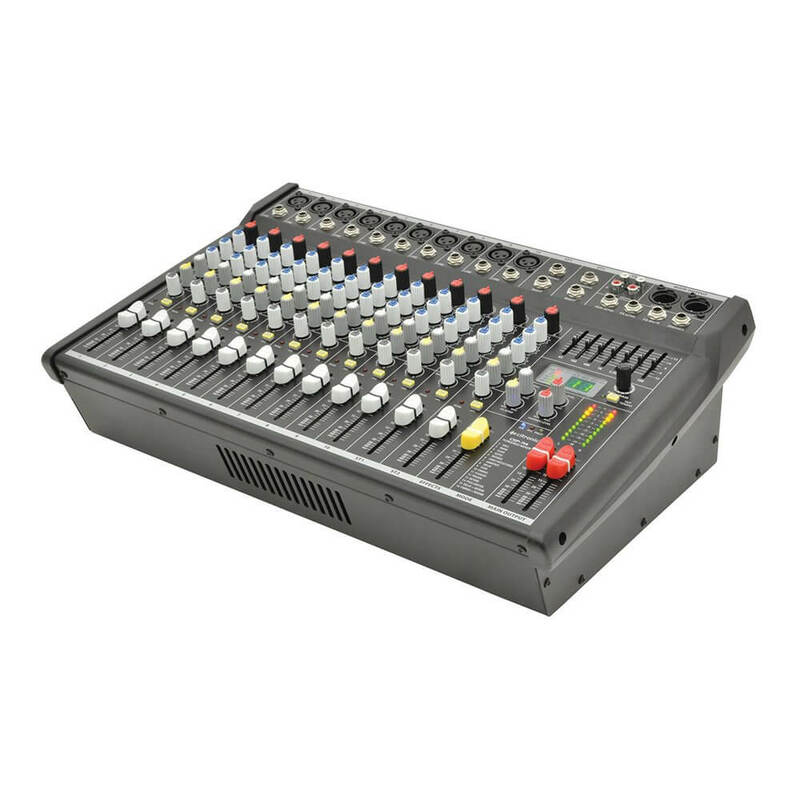 Powered mixer with balanced mic/line inputs and 2 stereo inputs, each with 3-band EQ and aux send. 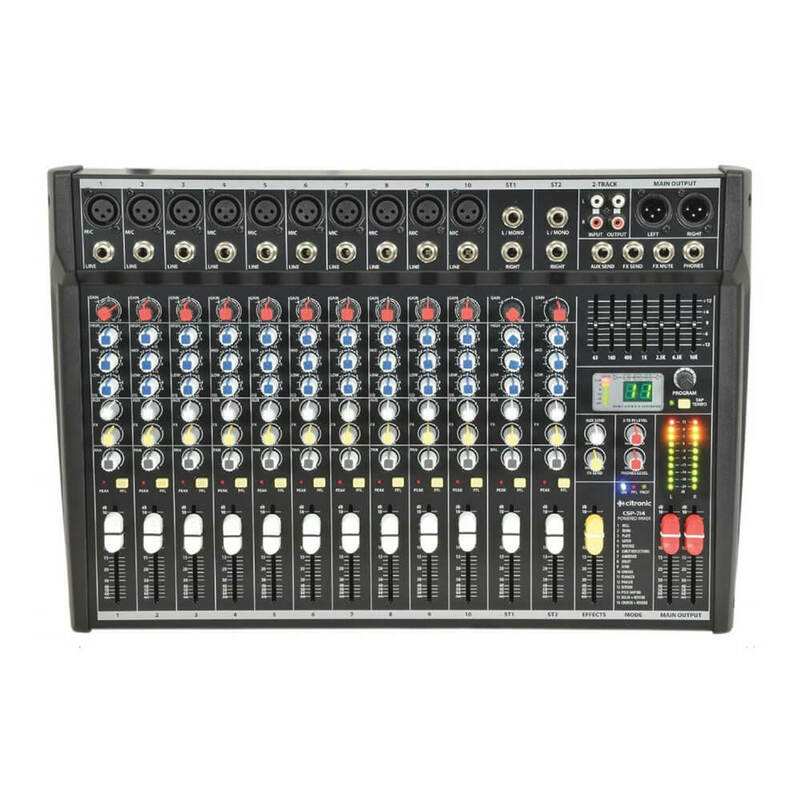 Powered mixer with balanced mic/line inputs and 2 stereo inputs, each with 3-band EQ and aux send. 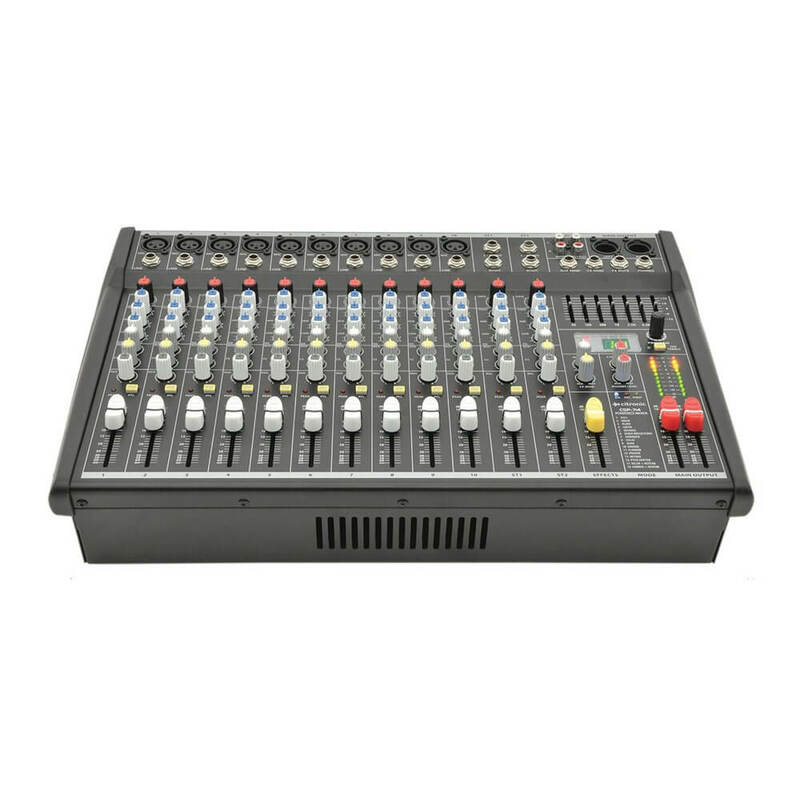 A 16 program DSP section with tap tempo can provide vocal effects and a 7-band graphic EQ facilitates global tone control. 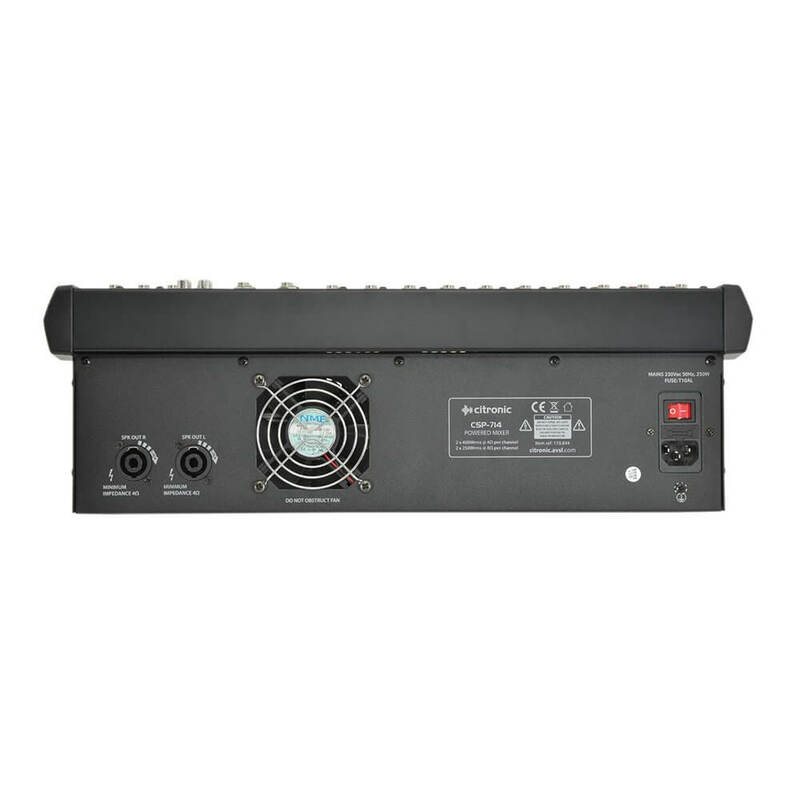 The built-in stereo amplifier delivers ample power to drive 2 or 4 speakers for coverage in medium-sized venues, offering a compact and comprehensive solution for mobile PA, bars and special events.